Description: This is a comic book collecting magazine that is 62 pages long and has a pieces of Dr. 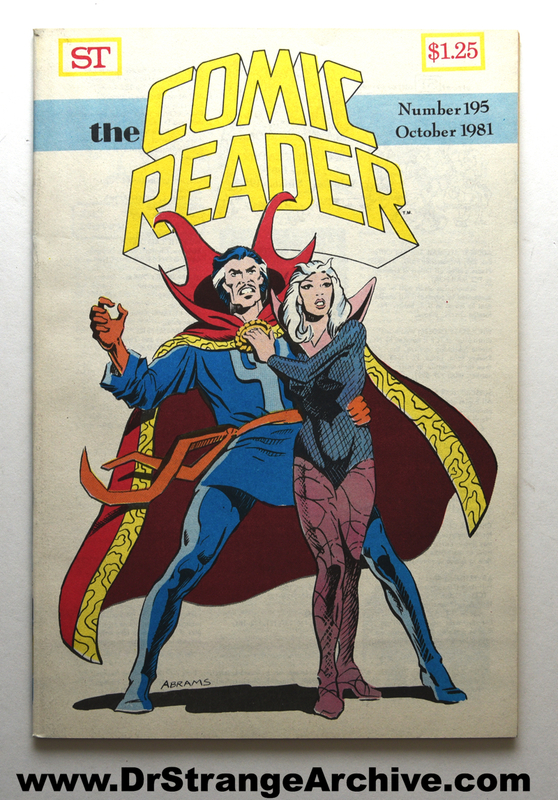 Strange art with Clea by Paul Abrams who was a comic artist, inker and penciler. It is issue 196 from October of 1981. All original content @Doctor Strange Archive. All other content @ and/or TM by Marvel or the original artist/creator.